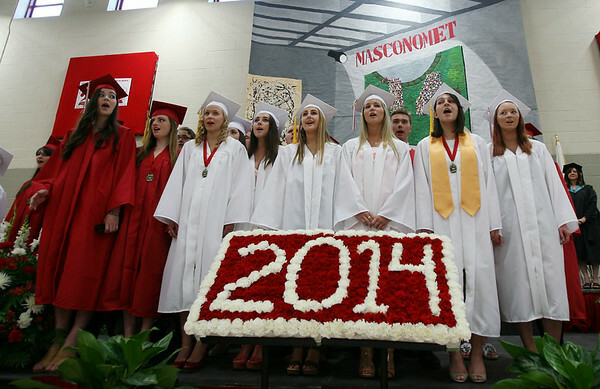 The senior members of the Masconomet Chorale sing the National Anthem at the start of graduation on Friday evening. DAVID LE/Staff photo. 6/6/14.